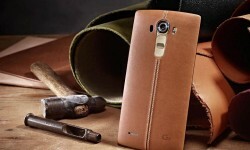 Sprint subscribers of the LG G4 variant are getting a new over the air update to ZV5 firmware. If you updated the operating system and chose to accept the new software update notification, you will have lost root access. Moreover, you can’t just go back and follow the same guide you used last time because it won’t work and you might brick your smartphone. Never fear! A new rooting method is here, and we’ll show you how it’s done after the drop. Check the About Device menu for the build number ZV5. Make sure you are a Sprint subscriber and have the Sprint variant of G4. Download the LG USB Drivers  on the Windows PC. You might need to reboot the PC to get that working. If the guide doesn’t work for you, it might be a driver issue, in which case, try rebooting and starting again. 1. Download the Send_Command tools package here . 2. Download the LS991ZV5.tar.gz file here . 3. Extract above tar.gz file to the desktop of the computer. 4. When done correctly, you’ll see the system.rooted.LS991ZV5.img file inside. 5. Transfer that img file to the root of the SD card, which means not inside any sub folder. 6. Extract the Send_Command tools file now. 7. When done correctly, you should find the Send_Command.exe file, and the ports.bat files inside. 8. Reboot the G4 in Download Mode. Volume the Volume Up and Power and connect it to the computer at the same time. It only works if you have completely powered it off first. 9. Double-click the ports.bat file and check what COM port your computer and the G4 is connecting with. Keep a mental note of that number. 10. Open the folder where the Send_Command.exe and right-click the mouse and hold Shift to open the command window. 11. Type the command: “Send_Command.exe \\.\COM4” in the command line if your COM port equals 4. Change the value accordingly to what you found in step 9. 12. Type the next command “id” and you should get a string in return similar to this “‘uid=(0)root gid=(0)root’. Repeat the steps with the commands again if you don’t see that string or else you risk soft-bricking the device. 13. Those happy it’s working so far you can type “dd if=/data/media/0/system.rooted.LS991ZV5.img bs=8192 seek=65536 count=557312 of=/dev/block/mmcblk0”. 14. Finish up by typing “LEAVE”, followed by Enter and you’re done. You can now start thinking about flashing a custom recovery image such as TWRP or ClockworkMod recovery.